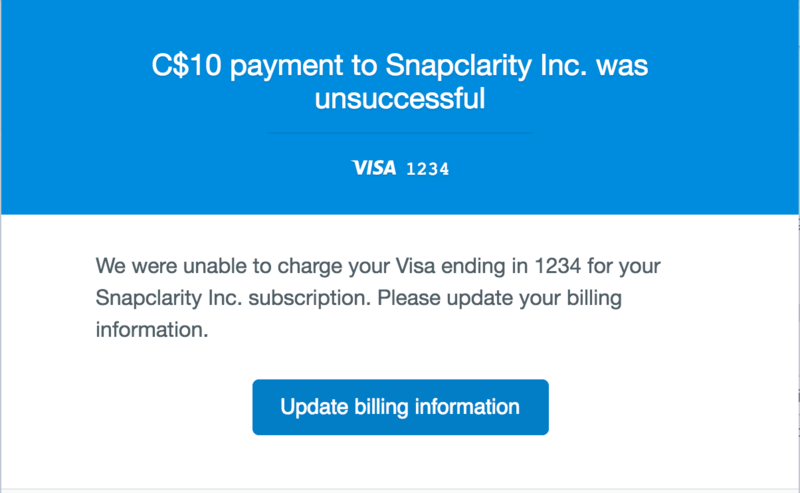 If Snapclarity runs into any issues processing your payment transactions; including your subscription renewals, you will be prompted to update your payment information within the app. 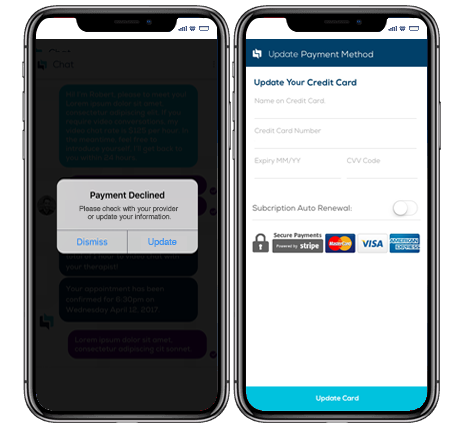 Stripe, our payment processing platform, will send you email notifications and friendly reminders in two cases: credit card expiration and failed transactions. An email reminder will be triggered approximately 7 days before credit card expiration. 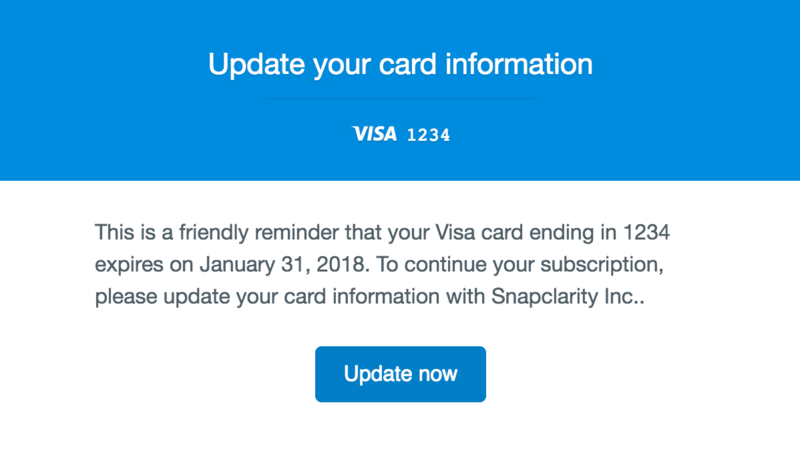 The information outlined will include your credit card expiration date and the last four digits of the credit card on file. 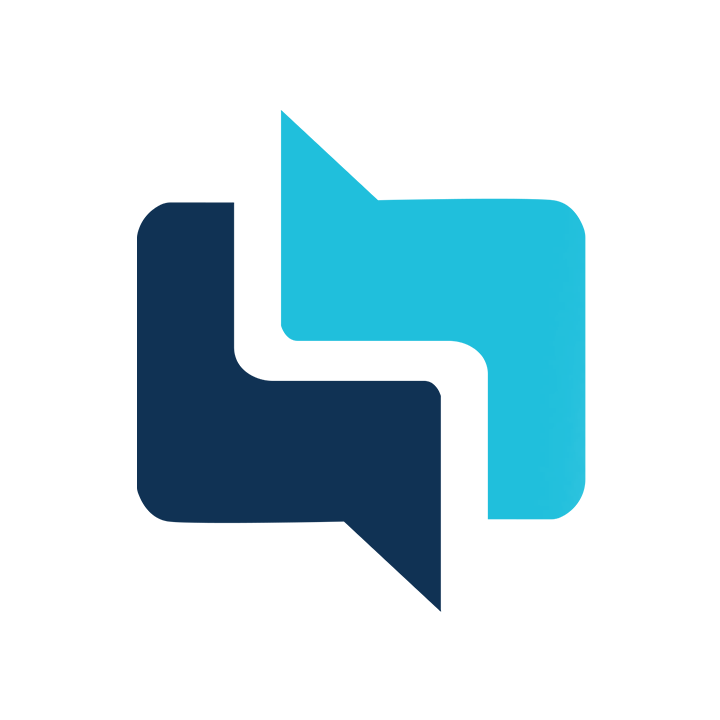 Stripe will prompt you to update your credit card and/or billing information upon a failed transaction attempt. The email will include the amount attempted, as well as the last four digits of the credit card on file.